Thanks to the development of powerful new imaging methods, we can now watch the human brain in action as volunteer subjects perform tasks involving language, emotion, memory, even self-reflection. The most detailed views of brain activity are often obtained by combining different methods in a single study. The Martinos Imaging Center at MIT uses the following tools and facilities for studying brain activity. 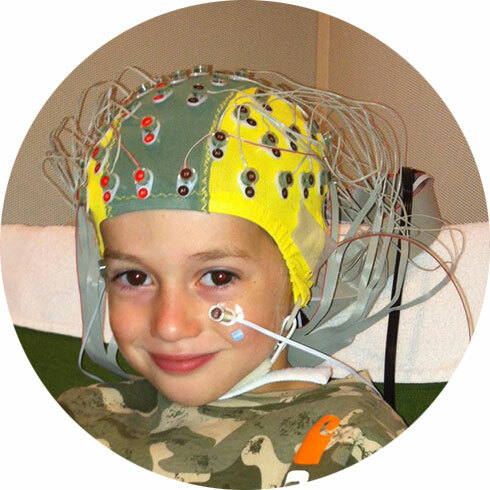 Electroencephalography (EEG) is a method to record electrical activity in the brain. Magnetoencephalography (MEG) is the measurement of tiny magnetic fluctuations at the surface of the head that result from electrical activity within the brain. MEG is a noninvasive technique for measuring neuronal activity in the human brain. Electrical currents flowing through neurons generate weak magnetic fields that can be recorded at the surface of the head using very sensitive magnetic detectors known as superconducting quantum interference devices (SQUIDs). MEG can detect the timing of magnetic signals with millisecond precision. This is the timescale on which neurons communicate, and MEG is thus well suited to measuring the rapid signals that reflect communication between different parts of the human brain. MEG is a purely passive method that relies on detection of signals that are produced naturally by the brain. It does not involve exposure to radiation or strong magnetic fields, and there are no known hazards associated with MEG. Dimitrios Pantazis is the director of the MEG lab at MIT. 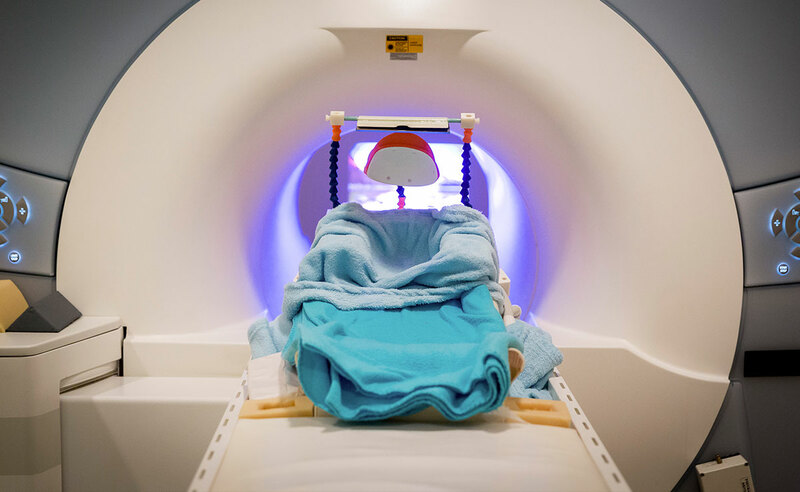 Magnetic resonance imaging (MRI), the most widely used form of brain imaging, uses magnetic fields and radio waves to produce detailed images of the structure and function of the brain. 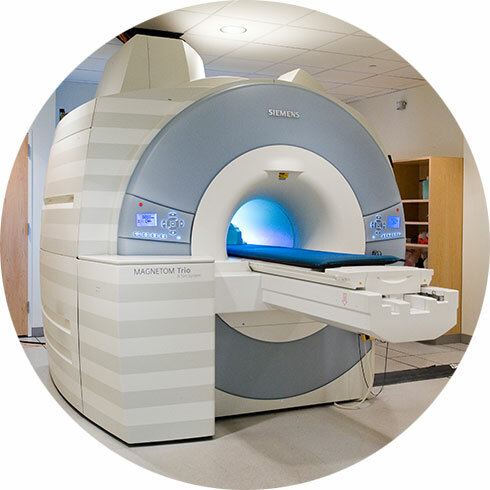 Functional MRI (fMRI) is a technique that measures the activity of different brain regions as subjects lie inside the MRI scanner. It works by measuring changes in blood flow and blood oxygenation that follow changes in neuronal activity. By comparing the signals obtained as subjects perform different tasks within the scanner, researchers can generate maps that show which parts of the brain are involved in different cognitive processes. Near-infrared spectroscopy (NIRS) is a technology that uses the absorption of near-infrared light to reveal changes in blood flow related to brain activity. 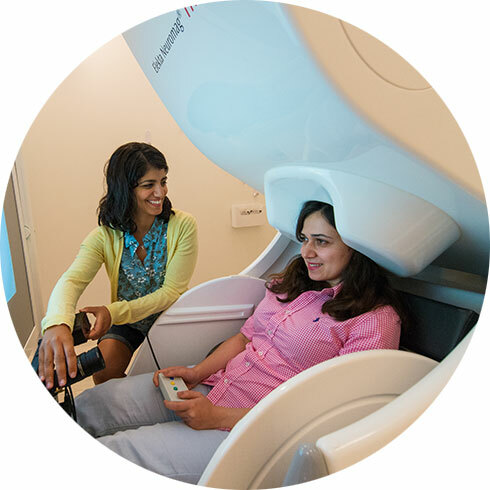 Unlike fMRI, which requires participants to remain motionless inside the scanner, NIRS involves placing a cap with light emitters and detectors on the participant’s head. 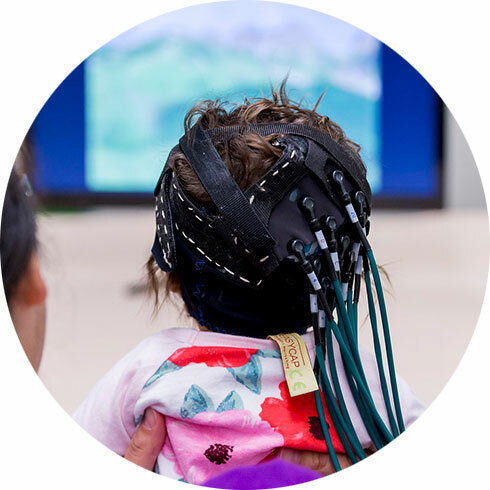 This technology is particularly useful for researchers studying brain activity in infants because these young study volunteers can sit on their caregiver’s lap, with some freedom of motion while they participate in research.